A hectic household management simulation game. Is there a better alternative to Nanny Mania? Is Nanny Mania really the best app in Simulation category? Will Nanny Mania work good on macOS 10.13.4? 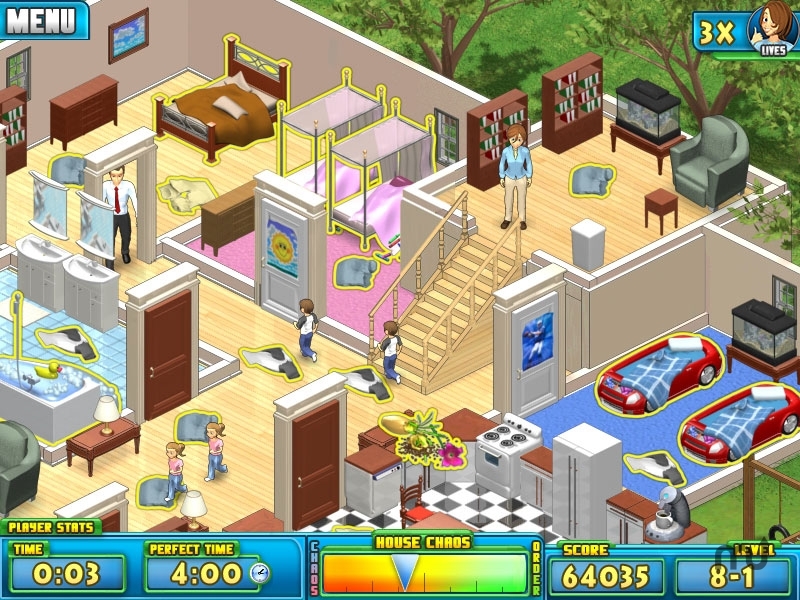 Nanny Mania is a hectic household management simulation game. Think you can manage a household? Think being a stay at home mom is easy? Nanny Mania puts you in the heart of what it takes to take care of a regular house. We start you off easy with only one child, and the mom and Dad to take care of in a small house, but you slowly get better but the job does not get easier. Try cleaning, cooking, laundry, and taking care of the parents, 4 kids and a whole heap of trouble. Nanny Mania will challenge you to keep an eye on your duties and manage your time or you will not be the Perfect Nanny! Fixed another bug where the Nanny would fail to feed the baby. Slightly smaller download. Nanny Mania needs a review. Be the first to review this app and get the discussion started! Nanny Mania needs a rating. Be the first to rate this app and get the discussion started!